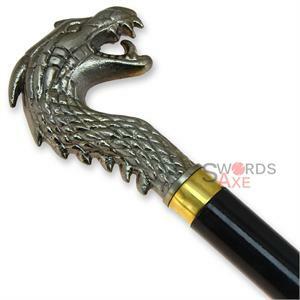 The epic and legendary creature, the dragon, is depicted on this walking cane with removable handle. Upon removing the handle is a void inside the cane shaft where you can add some extra weight or other things. 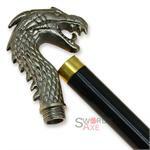 The handle is made of all cast aluminum and threads into the steel tube shaft. 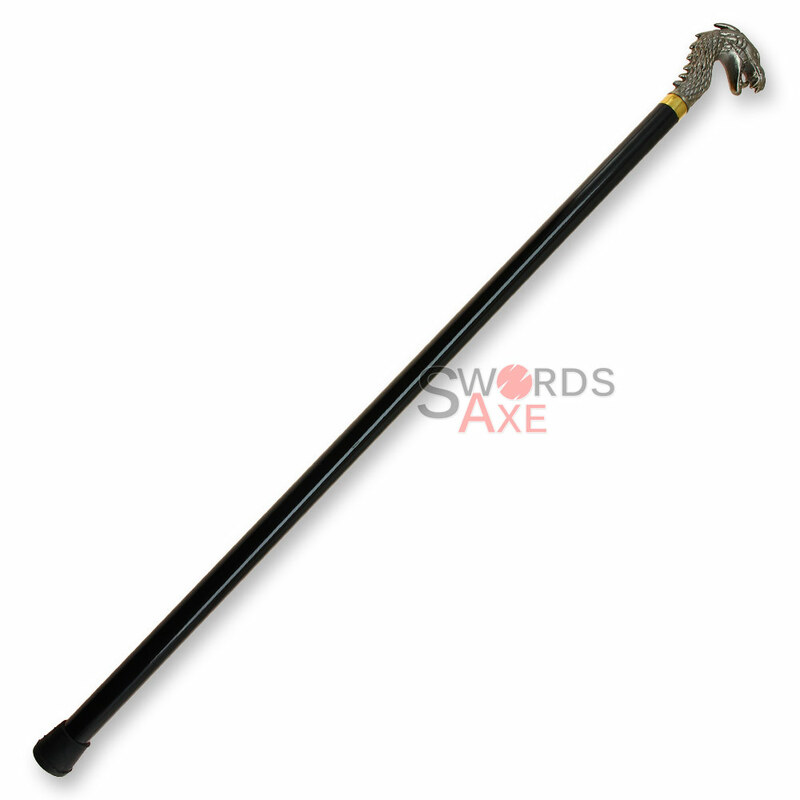 The shaft is laminated in black for a durable finish with a brass fitting at the top and rubber foot on the bottom.